Open to all, first come first served, every Monday. Hosted by Williamsburg Food Pantry. Williamsburg Community Building. 1st Fridays. No June-July meetings. Sept. on 2nd Friday. January 5th and 7th: ALL clothes and shoes, jewelry, toys, stuffed animals, pocketbooks, scarves, belts and 5 books per person are all FREE. Some other items will be greatly reduced. Afterwards closed until March. Food concession open to Everyone before and during the Williamsburg Shooting Match. Potato soup, BBQ, hot dogs, and more. Williamsburg Community Fundraiser. Eight rounds, 12 gauge guns only. Full choke rule .660 inch minimum, length 34" maximum; seven rounds at $2 per shot, eighth round 50/50 is $5 per shot. Shooters completing all rounds qualify for round eight. Cash prize each round. $1 per chance 50/50 splatter match between rounds. Shoot from indoors, heated. Food concession opens early at 6:00 pm. Family friendly, easy parking. First and Third Saturdays. Community fundraiser sponsored by the Williamsburg Community Action Group and the Williamsburg Ruritan Club. Williamsburg Community Building, 9172 Shoestring Trail, Williamsburg, West Virginia. The match is eight rounds. 12 gauge guns only. Full choke rule is .685 inch minimum, length 34" maximum; seven rounds at $2 per shot, eighth round 50/50 is $5 per shot. Shooters completing all rounds qualify for round eight. Cash prize each round. $1 per chance 50/50 splatter match between rounds. Shoot from indoors, heated. Food concession opens early at 6:00 pm, shooting starts at 7:00 pm. Family friendly, easy parking. First and Third Saturdays. Sponsored jointly by the Williamsburg Community Action Group and the Williamsburg Ruritan Club for community service projects. Williamsburg Community Building, 9172 Shoestring Trail, Williamsburg, West Virginia 24991. 12:00 pm: Food Giveaway Mondays open to all first come first served. Hosted by Williamsburg Food Pantry. Williamsburg Community Building. 12:00 pm: CEOS Community Education Outreach Service Meeting 2nd Tuesdays Location varies. Loretta Shirley 304-645-2238 or WVU Extension Office 304-647-7408. 7:00 pm: Williamsburg Ruritans Meeting 2nd Mondays at the Williamsburg Community Building. : Historical Foundation Meeting 3rd Thursdays. Time and location varies. Loretta Shirley 304-645-2238. 10:00 am: Food Pantry 3rd Saturdays for senior citizens and low income residents, distribution of staples and boxed goods. Contact 304-392-5537. Eight rounds, 12 gauge guns only. 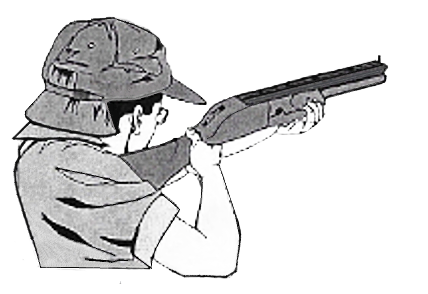 Full choke rule is reverting back to .660 inch minimum, length 34" maximum; seven rounds at $2 per shot, eighth round 50/50 is $5 per shot. Shooters completing all rounds qualify for round eight. Cash prize each round. $1 per chance 50/50 splatter match between rounds. Shoot from indoors, heated. Food concession opens early at 6:00 pm. Family friendly, easy parking. First and Third Saturdays. Community fundraiser sponsored by the Williamsburg Community Action Group and the Williamsburg Ruritan Club. Williamsburg Community Building, 9172 Shoestring Trail, Williamsburg, West Virginia 24991. 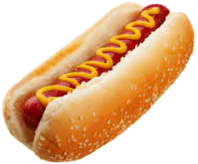 Hot Dogs $1.50, Soda $0.75. Food Pantry Benefit, Williamsburg Community Building. 3rd Mondays at the Williamsburg Community Building except December. Representatives from all local organizations, plus interested individuals, meet for community benefit. Everyone encouraged to attend. This is the monthly meeting postponed from Monday. Reps from all local organizations, plus interested individuals, meet for community benefit. Tonight's meeting determines if the April Bear Dinner will happen. Community volunteers willing help on this event, please show up. Williamsburg Community Building. Come out everyone and play games with 4H at the Williamsburg Community Building. Snacks and drinks provided. Baked Steak with Gravy, Mashed Potatoes, Green Beans, Coleslaw, Bread/Rolls, Dessert, Tea/Coffee. $12 Adults, $6 Children under 12. At the Williamsburg Community Building, community benefit hosted by the Williamsburg Community Action Group. Thank you for printing, posting, and sharing the flyer as possible (click here). 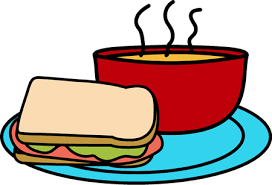 Variety of Soups (chili, white chicken chili, broccoli cheese, chicken noodle, vegetable beef, potato), with Peanut Butter or Grilled Cheese Sandwich, Dessert, and Beverage. $5.00 for adults, $3.00 for children under 12. Takeouts available. Help Williamsburg Flying Falcons 4-H Club with annual club trips and sending club members to camp! Williamsburg Community Building. Thank you for printing, posting and sharing the flyer as possible (click here). Representatives from local organizations, plus all others interested, meet for community benefit. Everyone encouraged to attend. Williamsburg Community Building (except December). 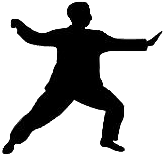 Tai Chi is an ancient gentle and graceful form of exercise that improves balance, coordination, circulation, deep breathing, and mindfulness. Gus Saldana will lead classes for four Wednesdays in March. Everyone of all ages and abilities encouraged to join in. Those who attend all classes will be elegible for a door prize. FREE. Williamsburg Community Building. Provided by the Williamsburg Community Action Group via a Greenbrier County Wellness Grant. This meeting will be held Thursday, March 7th 2019 at 6:30 p.m. at the Clintonville Fire Department. Greenbrier County Public Service District #2 employees and The Thrasher Group, the District's engineering firm, will be there to explain and answer questions pertaining to the water line extension. Williamsburg Area Emergency Response Team, 1st Thursdays every third month, Williamsburg Community Building, 304‑645‑6595. CANCELLED DUE TO HEAVY SNOW. May be rescheduled. Featuring Williamsburg Famous Corn Pone! Menu: Cornbeef, cabbage, carrots, potatoes, corn pone or rolls, dessert, tea, coffee. $10 adults, $5 children under 6. Food Pantry Benefit, 304-392-5537. Williamsburg Community Building. Application deadline for the Williamsburg Community Grant Fund Scholarship for Williamsburg-Frankford area high school seniors continuing to college OR an accredited vocational school. 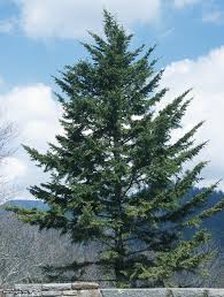 Go to www.gvfoundation.org/scholarships and search for ‘THE NORTHERN GREENBRIER HEALTH CLINIC SCHOLARSHIP’. Homecoming celebration with special singer Karen MacKay. Covered dish meal afterwards, everyone invited. We are on Williamsburg Road just north of the crossroads in Williamsburg. All fresh items for 2019! In the Williamsburg Elementary School Building. Follow on facebook. 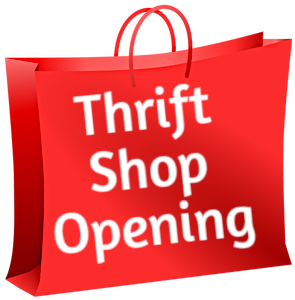 Hours: Mondays 10-2:00 pm, Fridays 10-Noon and 5-7:00 pm, Saturdays 10-Noon. 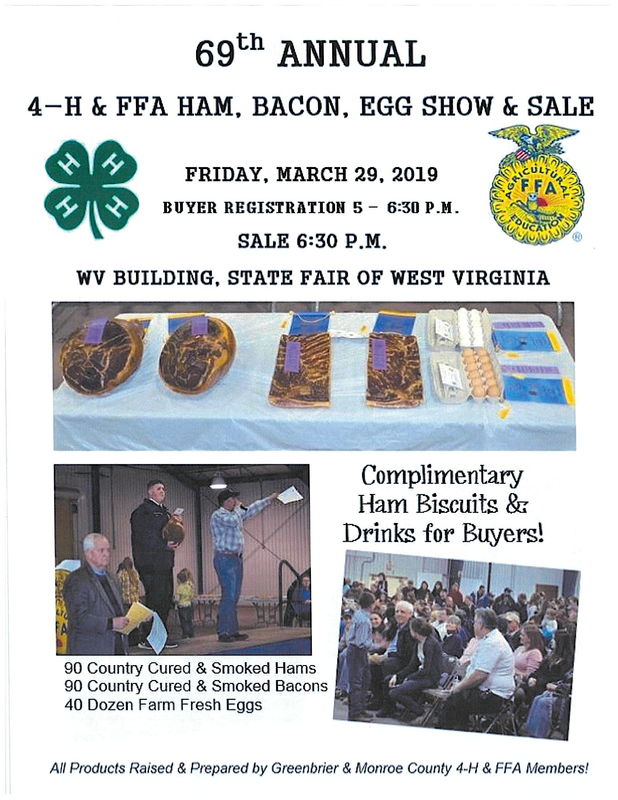 69th Annual at the WV Building at the State Fairgrounds. Buyer registraton is at 5:00 -6:30 pm. Sale At 6:30 pm. Complimentary Ham Biscuits and Drinks for buyers. 90 Country Cured Smoked Hams. 90 Country Cured Smoked Bacons. 40 Dozen Farm Fresh Eggs. PDF Flyer HERE. Everyone Invited. 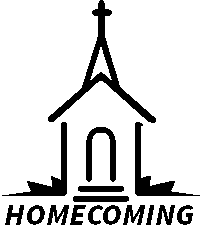 The Appalachian Bible College Student Ministries Salt & Light Drama Team will perform a play about the senior class of a fictional Christian school. 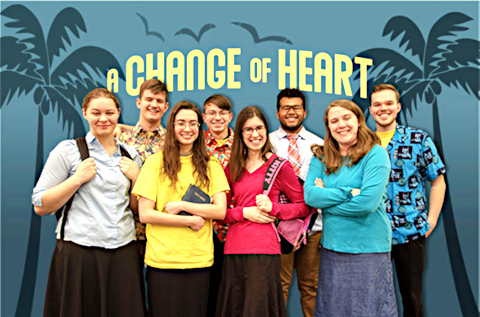 In 'A Change of Heart' the class prepares for a senior missions trip to a Caribbean island, but many of their attitudes and actions show hearts that are not turned to serving God. During the trip, various experiences cause each one to have an opportunity to change. As in real life, some do, but some do not. The play ends with a challenge to the audience to see if they too need a change of heart. 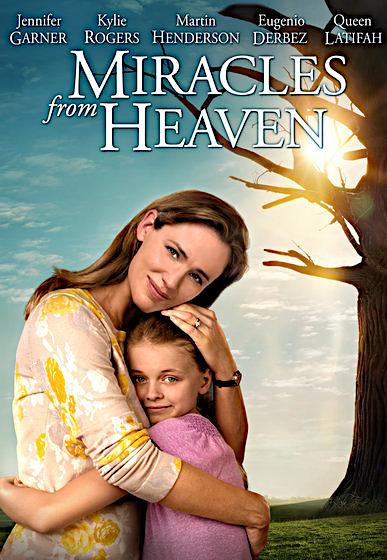 The drama is about fifty minutes long and is suitable for all audiences. Donations appreciated for this touring Student Ministry. ABC Ministries. The Williamsburg 4-H Flying Falcons will be picking up litter from Williamsburg to Cornstalk. 20th consecutive year with the twice-a-year roadway cleanup program! Please give a wave and pass safely. WV Adopt-A-Highway Program. 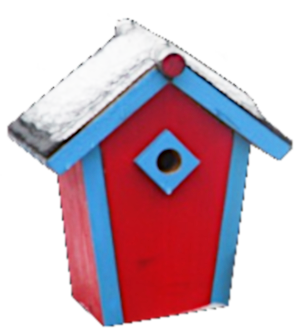 4H kids ages 8-18 will be building birdhouses from scratch. Adult assistance and tools welcomed, call Laurie 304-645-6867 or Jill 304-667-1026. Williamsburg Community Building. ⇑ 4H Flying Falcons have settled upon building the American Kestrel Nest Boxes. Document is 21MB, 11 pages, choose which pages to print. 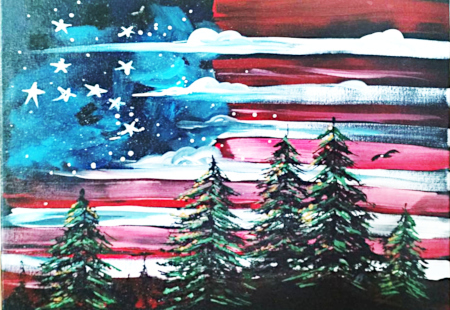 One-day painting class with Sandra Schmocker, for the painting shown, sponsored by a Greenbrier County Health Alliance Grant. FREE AND OPEN TO PEOPLE FROM WILLIAMSBURG, TROUT, SUNLIGHT, AND CORNSTALK (communities that were feeder communities to the Williamsburg school). Classes are not normally limited to Williamsburg residents, but supplies are limited. If more people are interested, we will try to do another class in the fall (provided another grant award). Ages 12 and up invited, but those under 18 must be accompanied by a parent/guardian (and must be signed up by the parent/guardian). Register at Facebook or call 304-645-6595. Williamsburg Community Building. 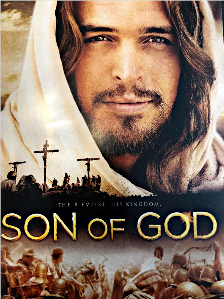 ✲ NEW TIME 4:15 pm ✲ Movie 'Son Of God' depicts the life of Christ from His humble birth through His teachings, crucifixion and ultimate resurrection, PG-13. Everyone invited. Activities for younger children in the fellowship hall. Questions 304-667-9288. Everyone Invited. The King's Characters Puppet Team from the Appalachian Bible College will perform Counterfeit!, the story a little girl who believes she is a Christian but whose life says she is not. Approximately 30 minutes. Suitable for ages six and older. Younger children may enjoy watching the puppets as well. Student Ministry donations appreciated. ABC Ministries. 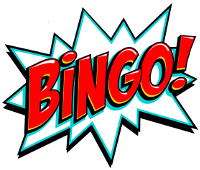 17 Bingo Games, $20 in advance or $25 at the door! WVU Building at the State Fairgrounds. Benefit for the Greenbrier County 4-H Shotgun Team. Call 304-647-7408 or Facebook Melissa Scott for tickets and more information. PDF Flyer HERE. 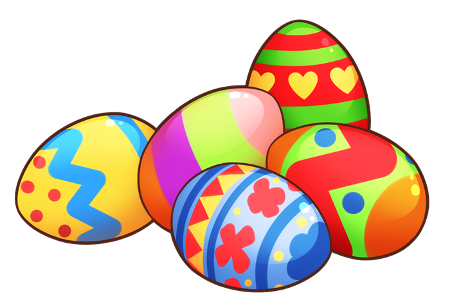 Annual Easter Egg Hunt for Everyone! Games, Prizes, Crafts, Treats. 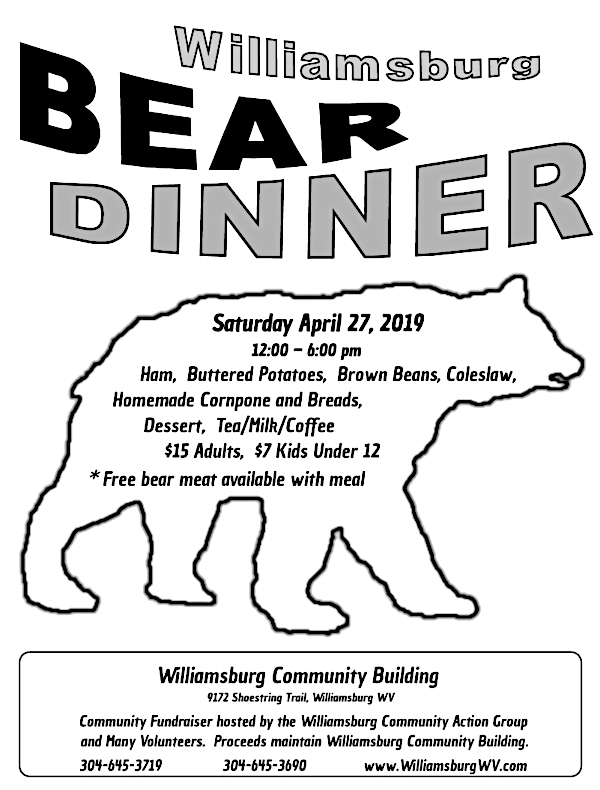 Hosted by the Williamsburg Ruritan Club. Williamsburg Community Building. Fritz Boettner, Project Director for Sprouting Farms, Talcott WV, will speak to the Williamsburg/Frankford/Renick area growers and potential growers about tapping into the expanding WV food distribution hubs -- currently 70+ growers. Available assistance may include sharing of resources such as tools, labor, training, bulk purchasing discounts, and acquiring high tunnels, if applicable. Will there be sufficient need for a Williamsburg cleaning and cold storage facility? Bring your questions. Williamsburg Community Building. The Williamsburg Ruritans will be collecting litter on Williamsburg Road to Catholic Road, meet at Andrew Chapel. Please give a wave and pass safely. WV Adopt‑A‑Highway Program. Opens for the summer, closes at the end of October. 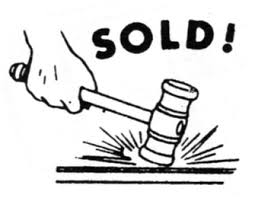 Hours are Thursday through Saturday, 1:00 pm until 4:00 pm, or by appointment at 304‑645‑2153. 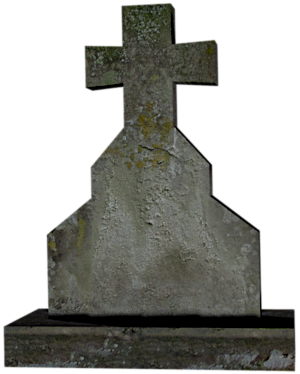 The Williamsburg Ruritans will meet at the New Salem Cemetary for maintenance and repair of the grounds and gravestones. A different cemetary receives attention each year as a recurring community service. There will be no activities at the Williamsburg Community During this week of renovations, Monday May 27 through Saturday April 1. Questions; 304-645-0964. 1st Thursdays every third month (MAR-JUN-SEP-DEC) at the Williamsburg Community Building. Williamsburg Area Emergency Response Team. Debbie Sizemore 304‑645‑6595. Everyone welcome! Program: “A Spoon Full of Sugar”. You’re thinking, “What is that about?” Come and find out! All lessons are prepared by WVU Extension Service Agents. Williamsburg Historical Foundation Museum. Contact 304-645-2153. Details TBA, check back for updates. Info 304-645-2238 or 304-645-2153.
: Greenbrier PGA Golf Classic Moved To The Fall 2019? 2nd Mondays at the Williamsburg Community Building. Annual picnic location to be announced. Friday and Saturday: Two full days of exhibits, games, food, music and celebrations. Saturday Parade 10:00am. Details TBA, check back for updates! The West Virginia State Fair, Lewisburg WV Not in Williamsburg WV but affects our schedules. Details TBA, check back for updates. Hot Dogs and more from the kitchen. Donations welcomed. Pick up is available call 304-645-2153. $5 for an XL Potato with choice of toppings including Chili, Cheese, Bacon Crumbles, Sour Cream, Broccoli and more. Includes beverage and dessert. Hot Dogs, chips, candy and soda will also be available separately. Bingo from 3:00-5:00 pm. Fifty cents per card or three for one dollar. This community fundraiser is hosted by the Williamsburg Community Action Group. Funds are needed for building repairs including kitchen, bathroom, picnic area, and parking area, plus utilities. Please call to volunteer your time, talent, and donations. Invite all your friends to come out to our dinners and events! At the Williamsburg Community Building, 9172 Shoestring Trail, Williamsburg, WV 24991. Questions: 304‑645‑3719.